And do you have a Volt-Ohm meter and know how to use it ? to be able to do any voltage or component resistance testing . And with the freezer door open does the freezer interior light come on ? ok that gray wire comes right from the freezer door switch can you pop the door switch out again and make sure the gray wire is connected on the freezer door switch ? with the door closed and testing the harness from the cabinet not the door side you get 0 volts on the gray to the orange ? and on the no contact with the door switch pressed in as if the door was closed to you get 120 volts to the metal chassis of the refrigerator? 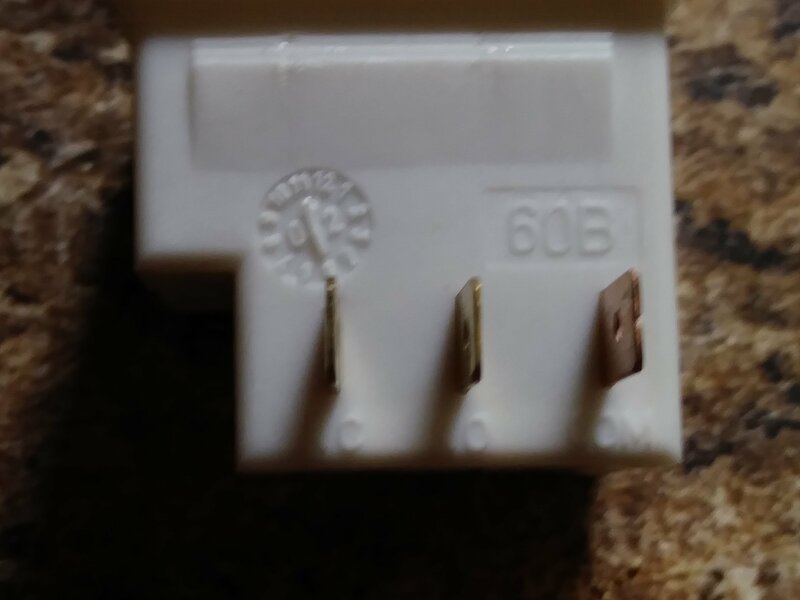 if you have 120 on the NO contact with the door switch pressed in but no voltage with the door closed on the gray to orange on the cabinet side .I suspect the pop blew the gray wire and that is why your not getting any operation of the dispenser functions . This has been the problem it is a strange one, I just put the door switch back in and everything in working now except the water. This frig is a massive pain. IT is working now even the water, I thought it may have froze up but it cleared and all is good so the only thing I can figure is a bad contact probably on the switch. great glad to here it! Yes I too would suspect just a loose connection on the door switch , since it is now working . Hello I have a Kenmore Dishwasher that wont do anything. I have an EWave over the range microwave (model KOT-172S). The oven went dead and no display lighting. nothing works.